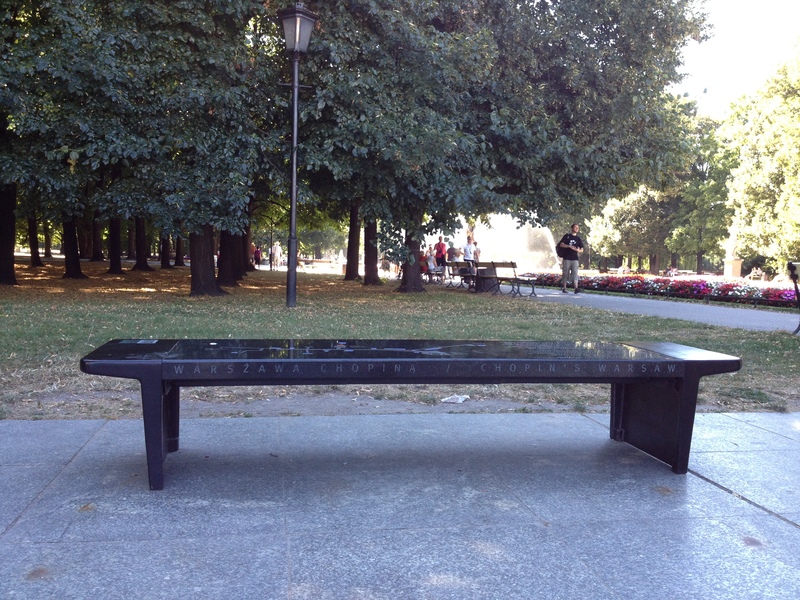 In August 2013, the critters and I relocated for twelve months to Warsaw, Poland, where history is everyday, and benches play Chopin. I was excited to extend the questions, themes, and methodologies I had been working with for the past few years in a different socio-historical-linguistic context. I wondered how Performing Warsaw would challenge and support my reliance on the conscious negotiation of serendipity and chance? How dislocation and exile would shift my perspective and insight in fruitful ways? How the perspectives and work of Polish artists and curators would broaden my own vision? 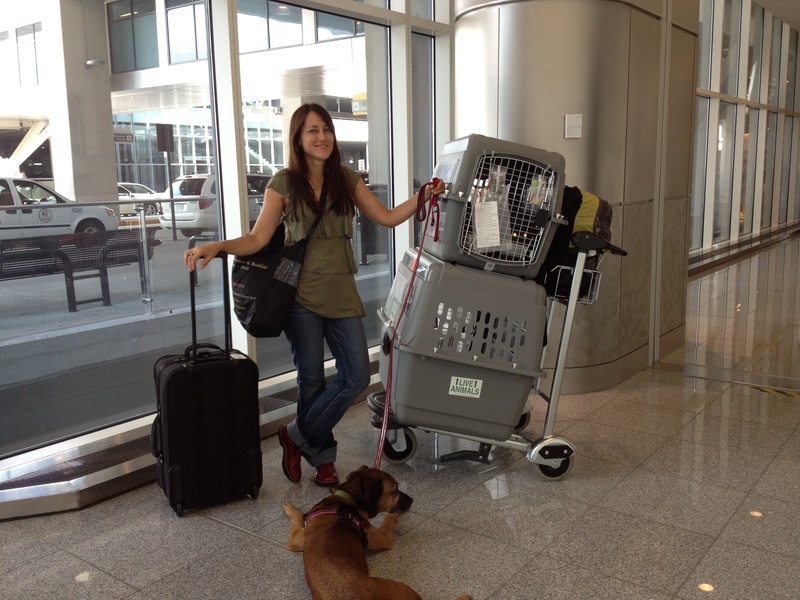 At the Atlanta airport with Janie the dog and Zac and Sacha the cats, about to embark for Warsaw on August 1, 2013. Answers returned. I did two weeks of research, and six weeks later I landed in Warsaw with one contact, no Polish, no substantive knowledge about Poland, an iPhone 4s, an iPad, a MacBook Pro, and a tiny tripod. I wish I’d brought a mic or two and a better tripod, but the limitations imposed, and the possibilities created, by my tools led me in unanticipated and fruitful directions. American (post). A video-performance and poetry series. 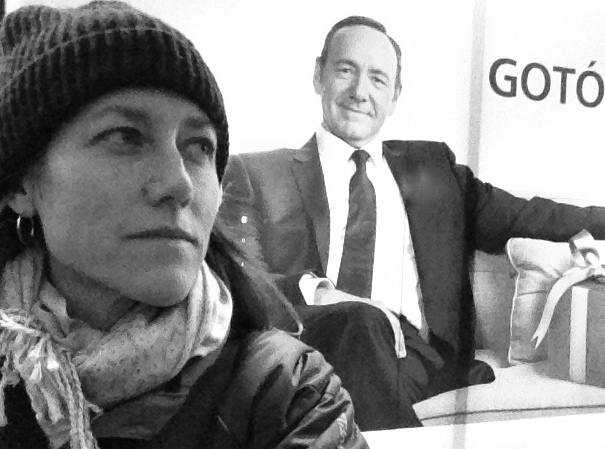 This series represents a preliminary experiment in continuing the trajectory of American (post) translations. From ethnography to poems to 2D & 3D visual art to installation to community performance, and now, to video. The first installment appears on The Offending Adam, 162.1, and the second, Exile, appeared on Conjunctions Online, 05.06.14. Warsaw Dispatch. Blog posts. Each month, I post a couple on the Michigan Quarterly Review blog.